The temperature of the body is an important indicator of human health. It normally does not exceed 37°C, but stress, physical exertion or overheating may rise to 37.5°C. If the temperature rose to 38°C and over, not straying for a long time and seriously affects the health, it is necessary to take measures to get rid of it. - lemon, honey, raspberry jam. The most common cause of temperature — infectious inflammatory disease, because in fact the fever is a protective reaction of the organism. When the temperature of the body is the active production of interferon, which is essential to combat the pathogen. In some cases the temperature may rise to 40°C and even higher. This temperature is detrimental to all systems and organs, so to take measures necessary, without waiting for serious complications. The easiest way to reduce the temperature with the help of medication. Of course, the treatment needs a doctor, but most recommendations are to products based on paracetamol and ibuprofen. They work effectively regardless of the cause of the temperature rise. If the temperature rose above 40°C, it is better to take aspirin or analgin. Non-pharmacological methods of lowering the temperature is not so effective, but safe. Hot tea with lemon, raspberry or honey will help to reduce the temperature by one degree. Rubbing cool water — a year and a half bath with water temperature of 36.5-37,5°C on two or even three degrees. Not the most pleasant, but quick way of dealing with heat — enema of cool, slightly salted water. Due to the sharp decrease in temperature did not happen vasospasm, pre-take 1 to 2 tablets but-shpy. Acupressure is effective but not very popular way of dealing with high temperatures. The reason for this is the high probability err in finding the necessary points. Find the seventh cervical vertebra (it is easy to find as it sticks out more than others) — directly under it will be the first point. The second and third are located at both sides at a distance of one centimeter. First massage each point individually and then all three at the same time. Duration — no more than three minutes. If the temperature drops, feel free to call for an ambulance. The doctors will assess your condition and make the anti-fever injection. In severe case, it may be suggested hospitalization. A fever in an adult can be a symptom of various diseases. Do not just knock her antipyretic drugs, it is necessary to allow the body to fight the infection. At high temperature it is necessary to drink lots of fluid to lower the temperature in the room, if you need to use a wiping or enema. A fever is the immune system's response to some inflammation or malfunction in the body. This may be due to viral or bacterial infection, inflammation in tissues or joints, bleeding.High temperature kills many viruses and bacteria, so it should be down in extreme cases. For example, if a person has a heart problem. The application of antipyretic drugs should start in if not helped by natural methods or the temperature rose above 39,5-40 degrees.To bring the temperature down is possible with traditional methods. The first step is to lower the temperature in the room. 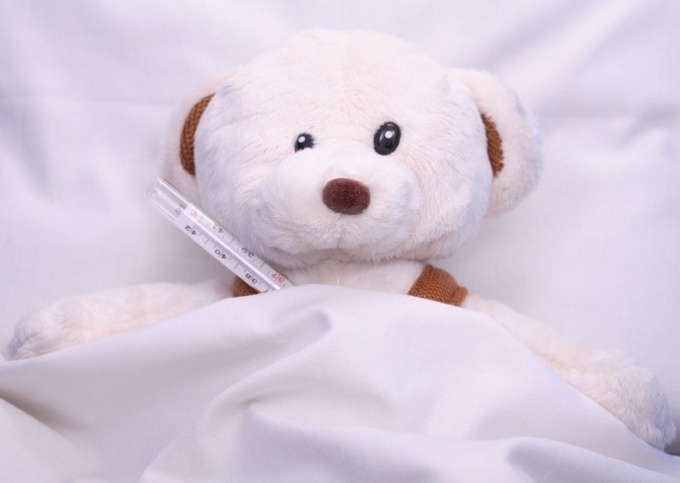 If you suffer a fever, it is necessary to dress warmer or go under the blanket. At high temperatures, the body loses large amounts of fluid, which can lead to dehydration. To avoid this, you need to drink a lot. Useful herbal teas with honey and lemon, cranberry juice, juice from citrus. The temperature of the drink should be close to body temperature. Then the liquid will be absorbed faster by the stomach walls. Should drink frequently in small portions. Effectively knocks down the temperature of the enema with water at room temperature. You can add the cooled decoction of chamomile, which has anti-inflammatory action.For adults you can use a sponging with water at room temperature, which added to vodka or vinegar. 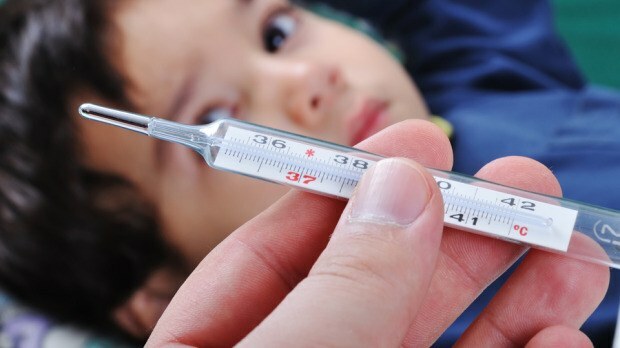 Children such procedures contraindicated as it can cause poisoning of the body by alcohol.If high temperature is not reduced within a few days, and is not accompanied by such symptoms as cough, runny nose, headaches, you should consult a doctor to identify the diagnosis and treatment. In this case, increased temperature can be a sign of inflammatory processes. The reason for high temperature is an inflammatory process in the body. And treatment should be aimed at its elimination. But is it worth while to lower the temp? If the thermometer shows 38-38,5 degrees, no need to rush to lower those numbers, because at this temperature destroyed pathogenic viruses. But provided that you normally carry it, do not suffer from aches all over the body, chills, severe headache. If these unpleasant phenomena you have, use an antipyretic. You can take medication based on paracetamol in moderate doses and not more than three days. Effervescent tablets may form kidney stones, so don't overuse them. Have to be careful with aspirin: acetylsalicylic acid increases the possibility of bleeding, acts on the mucous membranes, causing her swelling, provokes spasms of the bronchi. Note on folk treatment. A good effect is from the infusion from grass mother and stepmother, oregano and raspberry leaf. 2 tablespoons of these plants mix and pour a liter of boiling water. Let infuse for 20 minutes. Drink 4 times a day for a quarter Cup. It is also possible 3-4 orange slices infuse for half an hour in 50 ml of water at room temperature. However, there are contraindications: oregano is not recommended for use during pregnancy, ulcer, gastritis, and the orange if you are allergic to citrus.To ease the chills, it is necessary to stay warm to sleep better with a blanket and drink warm cranberry juice, cranberries, currants, tea with lemon and honey. The more fluids the better. If, instead of chills, the patient was tormented by the heat, the warming will only hurt the body: temperature to rise even higher. So the heat will help the physical cooling. On the forehead put a cloth soaked in cool water, and the patient's body (armpits, elbow and popliteal folds, the abdomen, chest, carefully wipe with a towel soaked in a weak solution of vinegar. Do this periodically until the status is not normal. In some cases you need to bring down even slight fever (37.5-38 degrees): in diseases of the heart, kidneys, lungs. Also you should alert the following symptoms at elevated temperature: feeling cold, shivering, pale skin, ice cold to the touch limbs, convulsions. This so-called "white" fever and she requires urgent medical care. High temperature is the immune system's response to inflammation caused by viruses and germs. With reduced immunity high temperature happens in exceptional cases. Often to 38-38,5 degrees to do anything is not worth it. You need to allow your body to cope with infection. The reception of fever-reducing medicines only rational at a very high temperature when the thermometer shows 39 degrees. In all other cases it is better to take plenty of fluids and spend wiping or pouring.If the room is sick with a very high temperature, ventilate the room and maximize humidify air. To cover with a blanket only case that suffers from a severe chill. If no fever, it is rational to undress, remaining in a light cotton underwear.Well reduces heat tea with lemon, cranberry juice and fresh squeezed juices from citrus fruits. Every 15 minutes let the patient 200 ml of liquid at room temperature. To take hot drinks don't need.If the temperature is above 38 degrees, you can wipe the body with wet towel soaked in water with vinegar. 2 liters of water add 2 tablespoons to 8% of vinegar or half a teaspoon of 70%. Wiping can be carried out 2 times per hour.Instead of wiping can be wrapped in wet sheets for 5 minutes or take a shower with water temperature of 36 degrees. Shower needs to be short, you can take it twice per hour.In an extreme case, do an enema with a decoction of chamomile, sage or calendula. Forced cleansing of the body helps to reduce body temperature by a few degrees. If the temperature is not reduced and all methods are not successful, give the patient half tablets of aspirin or paracetamol. Antipyretics cannot be taken on an empty stomach, break between meals should be at least 4-5 hours.If the temperature is kept for a long period of time and it is difficult to decrease, it is urgent to consult a doctor, pass the required examination and receive expert advice regarding further treatment. 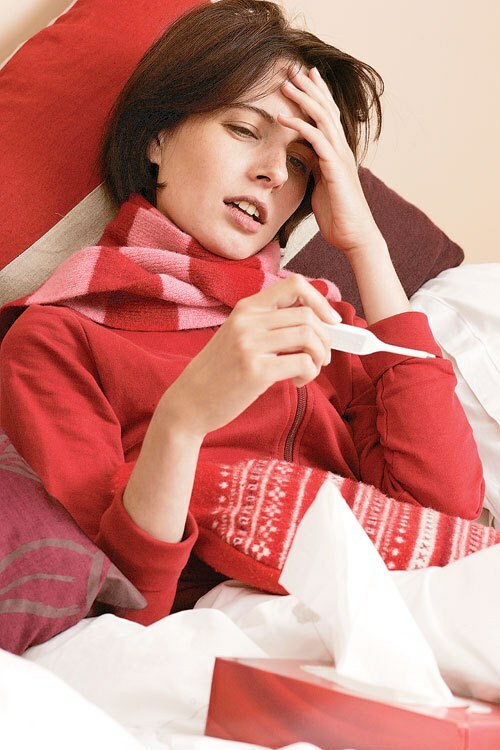 High fever in an adult is often enough and is not particularly life-threatening. She testifies about the normal work of the immune system that responds to bacterial and viral infections, inflammatory processes in the joints and tissues. Doctors believe that the increase in temperature to 38 degrees does not require medical intervention, as it is the active destruction of the virus, the acceleration of the synthesis of interferon, strengthens the immune system. - berry juice, lemon, honey. To reduce the temperaturewithout using medication drugs is relatively easy. First of all it is necessary to prevent dehydration – drink plenty of fluids. Tea with honey or lemon, berry fruit drinks with cranberries, cranberry, sea buckthorn, black currant, viburnum, wild strawberries or red ash tree – any of these drinks will not only prevent dehydration, but also will greatly enrich the body with vitamins and trace elements, so necessary at the moment. Effective antipyretic agent is lime color. Take a tablespoon of crushed raw material and Bay 200 ml of boiling water, leave to infuse for 20 minutes, covering the beaker with a towel. Then strain and add to the filtrate a tablespoon of honey. Drinking cooked means, lie down under the blanket. Usually after 10-20 minutes, starts sweating and the temperature drops. Also widely used vodka and vinegar rubdown of a body at high temperature. Take a vodka and water at room temperature an equal amount. After stirring the mixture, soak a cotton cloth and wipe the body with light touches. RUB the mixture should not be. For rubdowns can be applied Apple cider vinegar. Dissolve a tablespoon of 9% vinegar 0.5 liters of water, moistened cloth, wipe the body. After wiping, cover the patient with a blanket at once is not recommended, let it completely dries naturally. Prepare the following febrifuge. Take in equal amount of honey, grated on a fine grater onion and Apple. The components are mixed, take a tablespoon three times a day before meals. Antipyretic effect has the potatoes. RUB on grate 2 raw potatoes, add a tablespoon of vinegar or Apple cider vinegar. Mix thoroughly, put the mixture on a piece of cloth, folded in 3-4 layers and wrapped her, put on the forehead. After 1.5-2 hours compress, replace fresh. If the patient has a weakened immune system due to taking strong drugs, surgery, chemotherapy, to lower themselves a high temperature at home is impossible. You must call attending physician to the house, or the ambulance. At high temperature, the patient many are trying by all means to knock down. Rightly so, because the increase in temperature may cause seizures, lead to spasm of blood vessels and respiratory failure. Ways of dealing with the high temperature variety. Said to be the most effective. If the temperature is less than 38,5°C, and the patient feels well, to knock it is not necessary. It helps the body to deal with this virus. But the temperature is above that figure, and especially approaching to 40°C, down must, and the sooner the better. Effective in fighting high fever medicines. But along with them the complex are encouraged to apply, and to mitigate stress to the body. To begin with ensure the patient cool. No blankets, and warm clothes. Patient wear easily, and in a room the temperature was lowered to 20°C. Be sure to give the patient to drink plenty of fluids, as the temperature causes dehydration. Better to drink regular water or mineral water, herbal teas (Linden blossom, leaves and branches of a raspberry), fruit drinks, fruit drinks. The sugar in the drink need not be added. At a temperature of 40°C possible from the waist to immerse the patient in a bath with warm water. Water should not be cold. In the bath to hold the man for about 20 minutes, massaging with his body with a washcloth to increase heat transfer and enhance blood circulation. You can wrap patient in a sheet soaked in water or decoction of yarrow and chamomile (2 tsp of herb per liter of water, boil water bath for 15 minutes). Well bring down the temperature of the sponging with vinegar. For that 9% vinegar is diluted with water in proportion 1:5 and wipe moistened with a sponge the entire surface of the skin of the patient, starting from the back and abdomen, ending with the limbs. This procedure, like tubs, can be repeated every 2 hours. The patient can wipe with vodka, diluted in half with water. On the forehead and temples, wrists, and groin area can be applied a towel soaked in the decoction of mint. To change every 10 minutes. Medicines traditionally the temperature down with paracetamol or ibuprofen. Dosage for children: paracetamol 15 mg/kg of ibuprofen -10 mg/kg For children better to use rectal candles, because elevated temperature increases the gag reflex, and take a pill or suspension is difficult. Pregnant it is better to give preference to paracetamol, not more than 1 tablet in 6 hours. Ibuprofen also take no more than 4 times a day. At a temperature which does not break, it is possible to make an injection of analgin and Dimedrol with papaverine. The dosage for adults is 1 ampoule. For children – 0.1 ml of solution per one year of life. But better call an Ambulance, particularly if a high temperature for a long time holding a small child. High body temperature — a protective reaction of the body arising in response to the invasion of foreign agents, destroying them or preventing reproduction of bacteria and viruses. You can bring the temperature down to 39 degrees, and at higher values it is necessary to call the doctor. Body temperature above 39.5 degrees to endure difficult and dangerous, especially to people with diseases of the heart, blood vessels, and some other chronic conditions. Pregnant women are strictly forbidden to tolerate high temperature, and children may develop convulsions during its rise above 40 degrees. Some individuals have an individual intolerance of elevated body temperature. All these cases require immediate medical eliminate fever. To do this, first use tried and tested old methods, without the use of drugs. Cool the air to 20 degrees, often ventilate the nursery. These activities increase the heat of the human body. It is necessary to humidify the air in the room by using humidifiers or wet towels. Dry air leads to greater fluid loss, drying and inflammation of mucous membranes. The child needs frequent and excessive drinking, as well as easily digestible food. If the above methods did not help and the body temperature remains above 39.5 degrees, then go to the use of drugs. All anti-fever medications contain the same active ingredients. "Paracetamol" - a harmless analgesic, used only on prescription, and in doses appropriate to the age of the child. Suspension "Panadol" allows you to quickly lower body temperature, and candle "Nurofen" have a more prolonged effect due to the main active ingredient — ibuprofen. He is also an antipyretic has analgesic and anti-inflammatory actions, reduces the temperature in infectious pathologies. Suspension "Nurofen" is permitted for children from 3 months at the dosage chosen doctor. There are a large number of different fever reducing medicine for adults. The most effective and common of these are based on paracetamol. Available medicines in the form of tablets, syrups, suppositories, powders and injections. "Panadol", "Fervex", "Efferalgan", "Aspirin", "Coldrex" - the most common drugs that lower high body temperature. When the temperature is approaching 40 degrees, can not wait another minute. Quick remedy for fever is enema. Tablet "Acetylsalicylic acid" is ground into powder and diluted in water to make it as fast as possible absorbed into the bloodstream through the intestinal wall and started to act. For fast control of high temperature is also used injection. As the drug is a mixture consisting of dipyrone, papaverine and diphenhydramine, taken in equal proportions. This mixture paramedics administered to the patient for quick temperature drop and elimination of thermal crisis.